Communists will celebrate the centenary of the Russian Revolution of 1917 as a triumph of workers and peasants. In fact it owed much to a German diplomatic plot, executed through an armed coup by Lenin. In World War I, Germany was stuck in the impasse of ench warfare. It faced French-British troops in the west, trench warfare. It faced French-British troops in the west, and Russians in the east. Breaking through trench lines required massive military dominance, which neither side had. So, all advances ended in bloody stalemates. Germany badly needed a deal with Russia in order to shift forces from the eastern to the western front. The war was socially and economically ruinous for Russia. Mutinies and desertions spread in its army. In March 1917, riots in the capital, St Petersburg, culminated in the abdication of the tsar. A provisional government, headed by Alexander Kerensky of the Social Revolutionary Party , promised fresh elections. But chaos ruled in much of the country with the tsar’s exit, widespread opposition to the war, and coup plots by both the right and left. Germany saw opportunity in this. Lenin was in exile in Western Europe, and strongly opposed the war as a clash of imperialists. Germany saw that a Bolshevik coup in Russia could quickly end fighting on the eastern front. So it offered to smuggle Lenin and other Bolshevik exiles from Switzerland across war lines into Finland, from where they could cross into St Petersburg nearby , persuade local Bolsheviks to stage a coup, and then sign a peace treaty . It was a cynical deal, with Lenin and Germany using one another. Lenin said famously , “Power is lying on the streets of St Petersburg, just waiting to be picked up.“ Unlike some communists who sought power through elections, Lenin favoured an armed coup. With the support of soldiers and workers in the capital’s soviet (local council), the Bolsheviks began gathering weapons to organise a coup. The Germans supported them with 50 million deutschmarks in gold. Alarmed, Kerensky in July cracked down on the Bolsheviks, and Lenin fled to Finland. But soon after, to counter a threatened rightwing coup, Kerensky sought Bolshevik support, giving them arms and letting Lenin return.This turned out to be political suicide. Bolsheviks soon wrested control of the St Petersburg soviet, and Kerensky lost military control of the city . 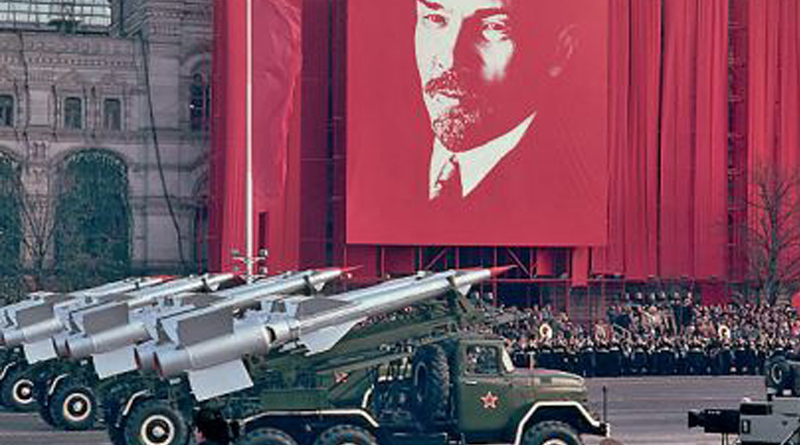 On November 7, Lenin launched his coup, with pro-Bolshevik soldiers and gangs attacking official installations. The naval ship Aurora, controlled by Bolshevik sailors, threatened to blow up the Winter Palace and other targets unless Kerensky surrendered. Deserted by allies, Kerensky did so, and Lenin came to power. An election followed on November 25. The Social Revolutionaries won 380 of the 703 seats against the Bolsheviks’ 168. The Bolsheviks won most votes of soldiers and cities, while the Social Revolutionaries swept rural areas. Lenin refused to hand over power, kicked out the Social Revolutionaries, and created a dictatorship of the proletariat. The delighted Germans switched 50 divisions to the western front, gaining military dominance there for the first time. They struck mightily at Allied lines on March 21, breaking through at several points. Some historians say they came very close to winning. But weak logistics prevented the Germans from rolling up the French and British flanks. The trench stalemate returned. But not for long. Armoured tanks, a new Allied invention, proved they could smash through trench lines. In addition, over a million US soldiers joined the battle. This ended the stalemate. Germany began retreating in August, and surrendered in November. The victorious Allies forced Germany to give up its war gains. So, Lenin got back vast territories signed away at Brest-Litovsk (though some other territories gained independence). This helped him win the civil war raging at home, that ultimately cost 2.5 million lives. Was Lenin a German agent, as critics claim? Surely not.But without German assistance, he would not have come to power. Marxist historians claim that the Russian Revolution actually began earlier, in the form of major strikes and agitations from 1905 onwards, and argue that Lenin was the natural heir of these. However, the Social Revolutionaries, leftwing rivals of the Bolsheviks, could also claim to be the heirs of the early agitations, and can point to their election victory as proof. The clincher was Bolshevik support in the army . Troops, rather than workers or peasants, ensured Bolshevik victory . Indeed, the peasants soon lost all their land to communist collectives.